An urban cycling jamboree is expected to attract around 10,000 bike lovers to the capital’s East End this summer. 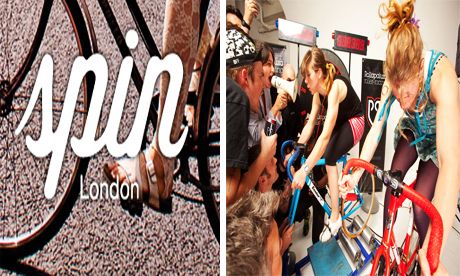 Brick Lane’s Old Truman Brewery will play host to SPIN London, described as “the worlds’ first urban focused bicycle consumer show & festival”. With Hackney-based bike builders and sellers among the nearly 50 exhibitors signed up so far, SPIN promises to be the hottest ticket in town come the first weekend in May. To go with the BMX, custom builds, fixed and single speeds on display, the festival boasts a pedal-powered cinema, rollapaluza races, DJs and talks from guest speakers – with more names and events still to be announced. Speaking to the Hackney Citizen, the show’s organiser, Alex Daw, said: “The main reason for doing it is to get loads of the interesting elements of cycling in the one place and to further open up cycling in an urban context. The show aims to exhibit the more diverse and independent minded brands in urban cycling, from both home and abroad. Daw said he hopes the festival atmosphere will make the event a lot more than just a conventional trade show. Urban cycling accessories and fashions will also be on display. And with the event being held indoors, SPIN London gives its assurances that there is no need to worry about the unpredictable British weather.